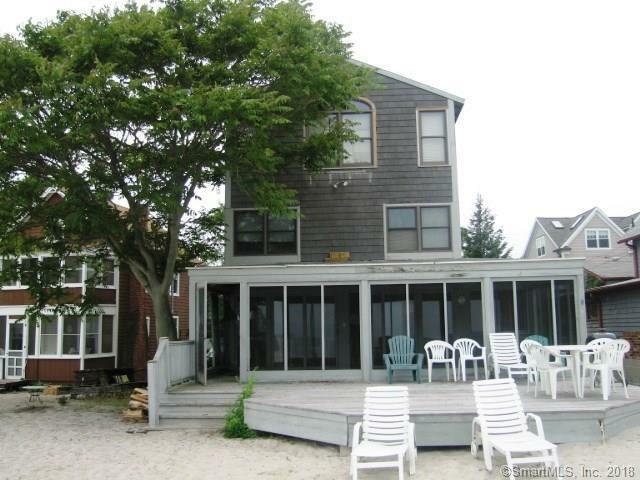 Spectacular 3 story waterfront home on Milford's finest sandy beach! Featuring hardwood floors throughout, living room with woodburning fireplace, open to spacious enclosed porch leading to ground level deck. Six bedrooms with Master Suite on top floor with amazing views and private bath with both soaking tub and shower. Fantastic home for entertaining with room for everyone to enjoy between the huge screened in porch and large patio. Feel like you're on vacation all year- long!